Eight golfers turned out for our last outing of the season, all before Alex who had sent constant reminders for everyone to arrive promptly and then was in disgrace for arriving late. Nevertheless, we welcomed back Chris Sledge who had assessed the weather and decided it was safe to turn out in glorious sunshine on top of the Down outside Warminster, from which you can easily see into all three counties. To be fair I think I only heard one clap of thunder and there was no sign of lightning as we headed down the 9th hole in torrential rain, but with customary optimism, Dave Thomas pointed to the band of light coming from the Mendips, and I think it was just enough to persuade Chris to shoulder his black business umbrella that was providing modest cover with the absence of waterproofs, and take on the might of ‘cardiac hill’ up the tenth. Thank goodness, otherwise we may not have witnessed him strike the ball from 100 yards into a marker post barely an inch wide and canon back perfectly to 50 yards from where he stood, alarmingly perfect accuracy. To the important stuff: Skin, our resident short hole specialist, once again triumphed at ‘nearest the pin’ and not only that but won overall with 35 points despite playing from below his official handicap. An excellent performance. He is already relishing the chance to play next year off his new society handicap of 9. Dave Thomas was second and Ian Martin third. We hope to have a get together in the winter to plan next year, and Dave has an award for the overall champion for the year. This will take the form of a pie and a pint in the Stapleton I suspect – date to follow. A fine turnout in fine weather at Orchardleigh Golf Course saw 15 BWCC golfers tackle one of my favourite golfing locations. The groups set off in handicap order, in various guises. Malcolm and Nick sped away in a buggy, having played the previous day and suffering from their exertion, which left the third member of the group, Phil, in a lonely cloud of dust. Phil gallantly trudged along, but at various places on the course could be seen some distance from the other two shaking his head muttering to himself about golf being a sociable sort of game. This might have been true of another group in which Innes H donned a set of headphones and proceeded to play the entire course wired to the cricket commentary, an occasional loud ‘ I don’t believe it ‘ or ‘yes that’s another one’ echoing across the fairways. An excellent prize giving supper was had in the Stapleton Arms , and Dave T was thanked for organising all the courses so well and at such competitive prices. Frome, as ever, did not disappoint. Beautiful weather and an empty course. No pressure on anyone, so how is it that after playing the course at least 4 times previously the leading group of Joe, Phil and I managed to go the wrong way, missing the 12th and 13th holes entirely. Thankfully, it did not put Joe off his game and he came in with 34 points to win the day. Julian had a blistering 20 on the front nine, after which Robin used that guaranteed gamesmanship line: ‘ Julian you’re playing so well’ which scuppered his chances of winning, but he still came a creditable second with 31 points. Alex managed to win the nearest the pin par threes, but the most notable feature of the day was Wendy accompanying Ian during his round, not playing but pulling his golf trolley. I do hope all husbands and wives will take note. I am very much looking forward to the potential of Malcolm pulling Jacqui’s bag at the Club Championship. ‘It’s a funny old game’. 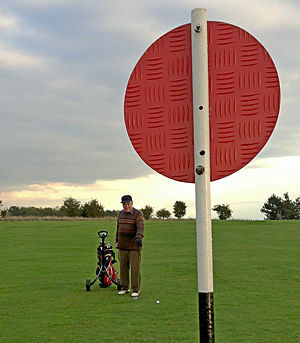 A select gang of five, including two newcomers, Innes and Carl, joined to play another new course to most of us – Long Sutton. A warm welcome from staff and another interesting course. Friendly folk to be found round every water hazard. Robin, Innes and Julian drove off, and Carl and I gave them a good head start so as we would not risk hitting them. Of course we shouldn’t have worried as I put my ball in the trees right and Carl in them left. Sadly Carls’ lie was rather worse than mine, the ball virtually placing itself defiantly against a strong Ash sapling, making it impossible to hit in the direction of the hole. Not wishing to risk breaking club or tree, Carl had no option to expertly play it back towards the Tee so ending up further away than when he started, but after two shots. I left him with gentle words of encouragement and set off to look for my ball in the thicker copse. Stupidly I had managed to get in front and despite the thick copse a horizontal Pinnacle whistled into the copse at the speed of sound. Actually it was faster than the speed of sound, as I heard the shout ‘Fore’ a fraction of a second after it thumped into my left foot. 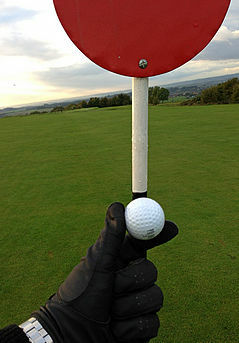 My fault entirely and a particularly good lesson in course management. By comparison the rest of the round was quite uneventful, apart from an excellent Birdie from Innes and a ‘nearest the pin’ from Robin, who is hitting the par three’s with alarming accuracy these days. Innes ended with the best score , and as usual at Buckhorn, will be cut immediately. Wells, a charming pretty course, in other words on a slope and tricky. Our three groups of three were greeted by an exceptionally welcoming Club and despite feeling like a windy autumn day, thankfully we didn’t actually get wet. Some estimation of the wind, and also exceptionally long and accurate golf , could be seen with Jay hitting the green on two 300 yard par 4’s from his drive! This inevitably helped him to an excellent 37 points and winning the day, with Ian second. Robin managed to hit both greens on our ‘nearest the pin’ holes, normally quite good enough to win in the BWCC society, but as we got closer on the 7th we realised that there was a marker 2 inches from the hole!! Nigel had been within a long whisker of a hole in one. On top form he was also inside Robin on the 17th. Everyone liked the course and general feel of the club, a definite for next year I believe. Looking forward to the next match Monday 10th June. A few of us rugged types had a slightly cool but excellent day at East Dorset where we were treated to Tim O’s new Christmas Golf Equipment Selection which proved to be very successful, as he won our mini competition and subsequently will have a handicap cut for the Championship in August (ha ha!). John C proved that even on a course renowned for its water hazards it is perfectly possible to find trees on every hole.